-Wonderful activity sheets that keep kids stimulated for hours and a beautiful world map to help them visualize everything they are learning about! 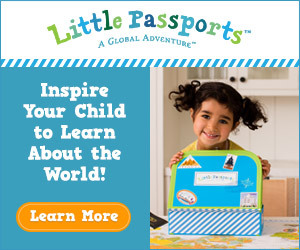 This Holiday, Win Your Family A Trip to Belize From Little Passports! Little Passports is partnering with Luxury Link to give away a trip to Belize, worth $5,000, to one very lucky family. It’s easy to enter, and they’re offering bonus entries for participating in fun games, trivia questions, and more. Take 1 minute to enter this giveaway, and maybe YOUR family will win the trip of a lifetime! I’ve visited Belize and would LOVE to move there! I even checked out Belize real estate to see what the houses were like!Win a trip to Belize from Little Passports! The above links are affiliate links. If you purchase the product, I may receive a small commission. As always, I only post about products that I would purchase for myself!